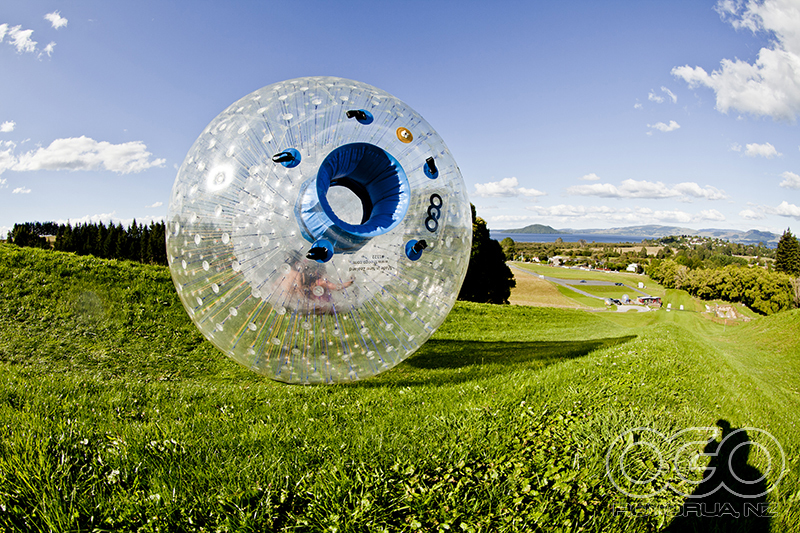 The experience of rolling down a hill inside a giant inflatable ball has been an iconic adventure experience since Andrew and David Akers developed their first operation in Rotorua back in 1997. Visitors are rewarded with spectacular views over Lake Rotorua and Mokoia Island as they Superman-dive into the OGO. With a 350 metre long track; this is the world’s longest zig-zag ride. Either one or two people ride the OGO down together, sliding in 40 litres of water (cool in summer, warm in winter) getting speed up on the straights before riding up the sides of the 6 massive corners. Riders must be over 6 years of age. Shorts, t-shirts and towels are available for hire. Can’t get enough? Purchase the OGO combo and enjoy any 3 OGO rides for one price. You can’t take a puppy in there with you.